Is there hope when hope is taken away? Is there hope when the situation seems hopeless? 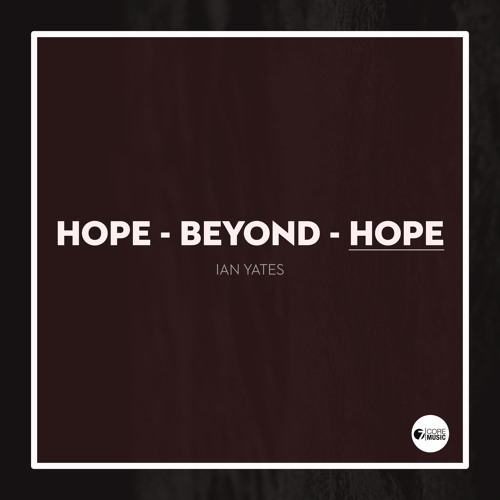 The third single in this series from Ian Yates delivers a blistering composition that’s guaranteed to make you move both inside and out. It follows on from the heavier ‘Belly Of The Beast’ which received a 10/10 review from Tony Cummings at Cross Rhythms. At just 2 minutes 31 seconds it’s a jam packed release full of imagery and energy, setting the listener up for the mini album ‘Deconstruction Vol 1’ due for March 19 release.